On Friday the BBC reported that Ian Christie, a man who developed cirrhosis of the liver after being infected with hepatitis C during a blood transfusion 25 years ago, had become the first person in the world to receive a transplanted liver that had been preserved at room temperature rather than being cooled after being removed from the donor. A month after the operation, which was performed at Kings College Hospital in London, Mr. Christie is doing very well, and further clinical trials are planned. The transplant was made possible by the development of the OrganOx Metra system that allows blood containing oxygen and nutrients to be pumped through the living liver after it has been removed from the donor, and which also allows doctors to closely monitor the condition of the liver during this time. The system was developed by Constantin Coussios, Professor of Biomedical Engineering, and Peter Friend, Professor of Transplantation, at Oxford University, who founded the spin-out company OrganOx to further develop and commercialize their technology 5 years ago. In a press release announcing the successful transplant operation, Prof. Coussios describes the revolutionary new system. The device is the very first completely automated liver perfusion device of its kind: the organ is perfused with oxygenated red blood cells at normal body temperature, just as it would be inside the body, and can for example be observed making bile, which makes it an extraordinary feat of engineering. 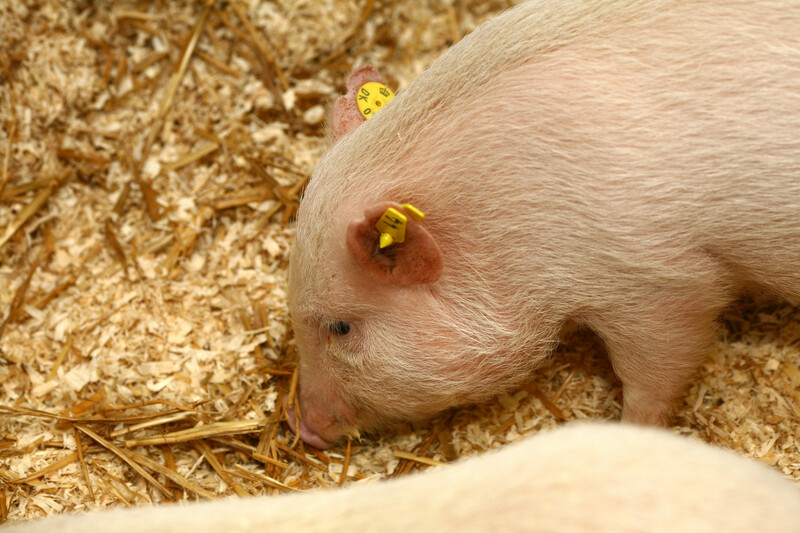 The other experiments that Prof. Coussios mentions are studies that they undertook in pigs -a species that is often used in transplant research due to the similarity in size and structure of the liver and its veins and arteries in human and pig and the strong similarity in many key physiological systems – including a key paper published in 2009 (1) which determined that their system could greatly increase the survival rate in pig liver transplants. Their system could even enable livers that would not be used for transplants using standard transplant techniques because they had been deprived of oxygen at body temperature for up to 40 minutes before being hooked up to the machine to be successfully transplanted, which may make it possible to obtain more livers for transplantation from non-beating heart donors, thereby greatly increasing the pool of possible donors. Of course this system did not come out of nowhere; it was the result of years of research by Prof. Friend and colleagues at Oxford University’s Nuffield Department of Surgery. In a series of studies they demonstrated the advantages of perfusion of pig livers with body temperature oxygenated blood over cold storage, when a range of biochemical and physiological parameters of liver function were examined in the laboratory (2). In Friday’s press release Prof. Friend highlighted the benefits of normothermic – or body temperature – transplantation relative to the current practice of cooling organs. Transplant surgery is a victim of its own success with far more people needing transplants than there are donor organs available. This device has the potential to change that situation radically. By enabling us to transplant many organs that are unusable with current techniques, this technology could bring benefit to a large number of patients awaiting transplants, many of whom currently die whilst still waiting. ‘At present, organ transplantation depends upon cooling the organ to ice temperature to slow down its metabolism, but this does not stop it deteriorating and, if the organ is already damaged in some way, perhaps by being deprived of oxygen, then the combined effect can be disastrous. Many potential donor organs are declined as being unsuitable for this reason. So, while the work of liver transplant pioneers like Sir Roy Calne and Professor Thomas Starzl (which depended on animal research for its success), has saved the lives of tens of thousands of people, this latest advance has the potential to double the number of lives that can be saved. It is a striking example of the crucial but, as still is too often the case, unsung role of animal research in developing new surgical techniques. 1) Brockmann J, Reddy S, Coussios C, Pigott D, Guirriero D, Hughes D, Morovat A, Roy D, Winter L, Friend PJ. “Normothermic perfusion: a new paradigm for organ preservation.” Ann Surg. 2009 Jul;250(1):1-6. doi: 10.1097/SLA.0b013e3181a63c10. 2) Imber CJ, St Peter SD, Lopez de Cenarruzabeitia I, Pigott D, James T, Taylor R, McGuire J, Hughes D, Butler A, Rees M, Friend PJ. “Advantages of normothermic perfusion over cold storage in liver preservation.” Transplantation. 2002 Mar 15;73(5):701-9.